Almost a quarter of the nearly 350,000 children currently living in Dallas have no access to fresh fruits, vegetables and other nutritionally adequate foods. According to the American Academy of Pediatrics, children who are affected by this problem — known as food insecurity — “are likely to be sick more often, recover from illness more slowly and be hospitalized more frequently.” Worse, this issue doesn’t just impact individual households. It plagues entire communities and neighborhoods, causing them to become food deserts. Food deserts most frequently afflict areas where economic instability and lack of mobility limit residents’ ability to purchase fresh produce. In Southern Dallas, the food insecurity rate is well above the national average. It’s an issue that UNT Dallas, in partnership with Toyota Motor North America (TMNA), headquartered in Plano, aims to tackle via a mobile food market. “We know that access to transportation can be one of the largest hurdles to obtaining fresh food,” explains Al Smith, TMNA’s Social Innovation group vice president. Beginning this school year, UNT Dallas students will be transforming a low-emission bus that runs on compressed natural gas — donated by DART — into a farmer’s market on wheels. Toyota is supporting this program through a $268,000 grant, which includes scholarships. Beyond that, the automaker is sharing its expertise, mentoring students and convening like-minded partners to help launch the program. In addition to selling fresh produce, the Mobile Food Market venture will open up other opportunities for underserved Dallas residents, from classes on strategies for healthy living to workshops in professional development. Before launching the Mobile Food Market and putting it through its first paces in Southern Dallas, UNT Dallas students will draft a community assessment plan, plan routes to minimize emissions and develop a working business plan during the fall 2019 semester. They’ll also collaborate with students from Cedar Valley College’s Automotive Program on bus renovations. Meanwhile, students from the UNT Dallas Urban SERCH Institute and the UNT School of Business will spearhead the effort to source produce from local farms and gardens with Paul Quinn College and other local farms. Coordination here will be crucial, both to ensure the freshness of the market’s offerings and to encourage the economic development that will allow participating farmers and gardeners to provide the market with steady, reliable sources of nutrition. If the initiative proves successful, Varga and her team hope to expand the mobile market’s service area to include West Dallas. Getting the mobile market up, running and thriving will require both ambition and dedication on the part of all involved. But the program’s founding partners are committed to maximizing the benefits to be realized from the initiative. For UNT Dallas President Bob Mong, those benefits are not limited to any one community in D-FW. “Our future teachers, doctors, lawyers, entrepreneurs and leaders are growing up in communities where nutritious vegetables and other foods are often out of reach. The entire North Texas region will feel the positive impact of the mobile market,” he explains. 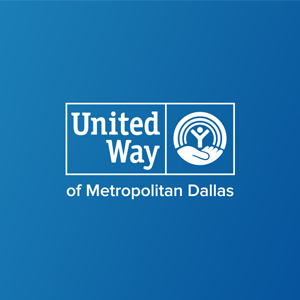 To learn more about how UNT Dallas, DART, Toyota Motor North America and their other partners are working to eradicate food insecurity and food deserts, visit toyota.com/usa/community.